1) Understand yourself: Every woman has a unique personality. Everyone is beautiful. Listen to your inner self before you develop your style. Learn to know yourself better rather than fretting about what people say. 2) Highlight your positives: So what if you are petite? Turn it into an advantage. Worried about being a little plump than the average size? Highlight your curves. 3) Study your wardrobe: Don’t buy everything you like. Chuck out pieces you don’t need. Don’t retain that random fashion clothing you bought after a sad break-up. De-clutter your wardrobe to start anew. 4) Keep wardrobe essentials: A basic blue jean, one little black dress, good formal wear, well-fitted innerwear, stylish handbags, elegant jewellery, and extremely durable footwear. Basic make-up is needed for a quick-fix. 5) Impeccable fits: Stick to what fits you comfortably. Don’t purchase a size smaller just because you want to appear thin. 6) Accessorize: Did we not mention accessories? These can speak high volumes about your dressing style. Always remember to keep it minimal for office wear. Bring out the bling in you for other occasions. 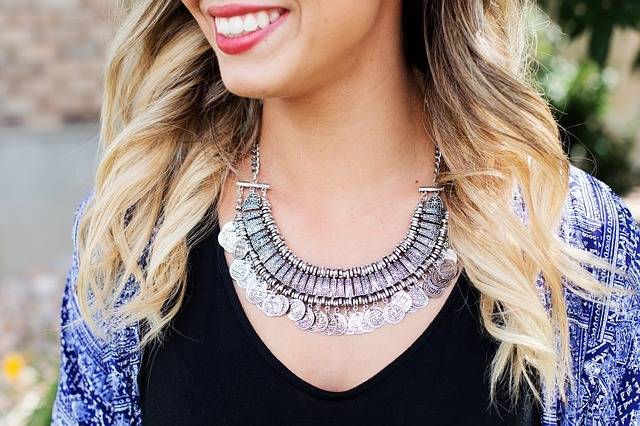 Accessorize to bring life to boring outfits! 7) Mix and Match: Sure, our budgets are inversely proportional to one’s shopping needs! A little bit of mix and match will define your own style and give you ‘more looks for less’. 8) Confidence Matters: You’ve heard that before. And we’ll holler again. Carry yourself with a poise that no one can unsettle. These were just some of my views. I would love to hear your story!